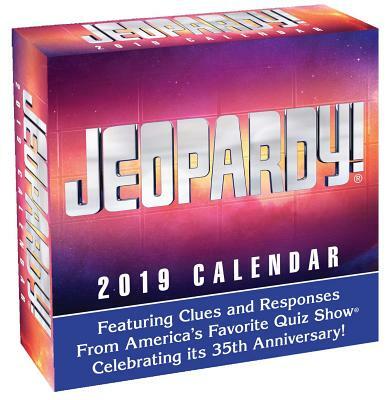 Just like the hugely popular and award-winning game show on which it's based, the JEOPARDY! 2019 Day-to-Day Calendar challenges with interesting and entertaining content. Each week features JEOPARDY! and Double JEOPARDY! categories with assigned dollar amounts and a Final JEOPARDY! round where players can wager all or part of their “winnings.” The clue is printed on the front of each page and the correct response is printed on the back. With its unique answer-and-question format, this calendar will entice any trivia buff. The calendar also features a plastic easel backer for easy tabletop display.